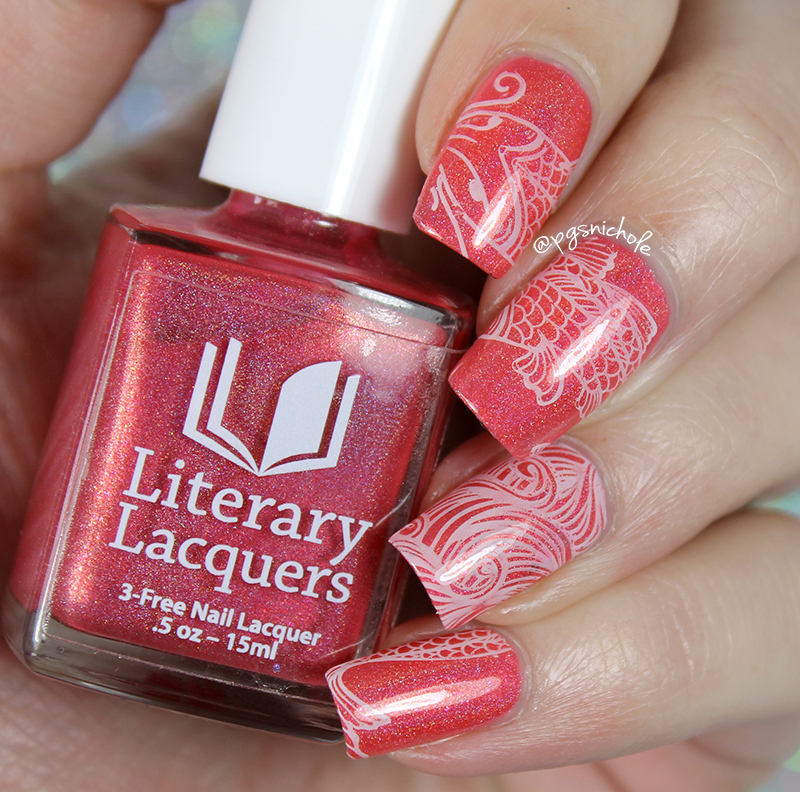 I couldn't leave this Literary Lacquers polish alone. 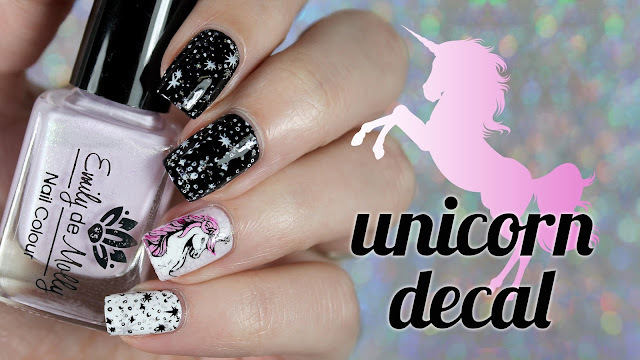 In fact, this is the same manicure as the swatch from last week! I couldn't bear to take this color off! 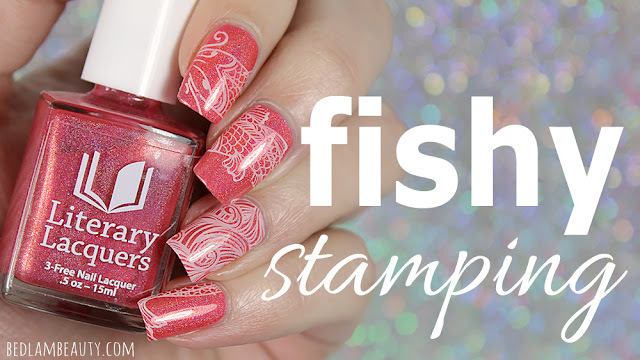 I've been drooling over all the stamping some of my blogger pals have doing lately...so I decided to try. 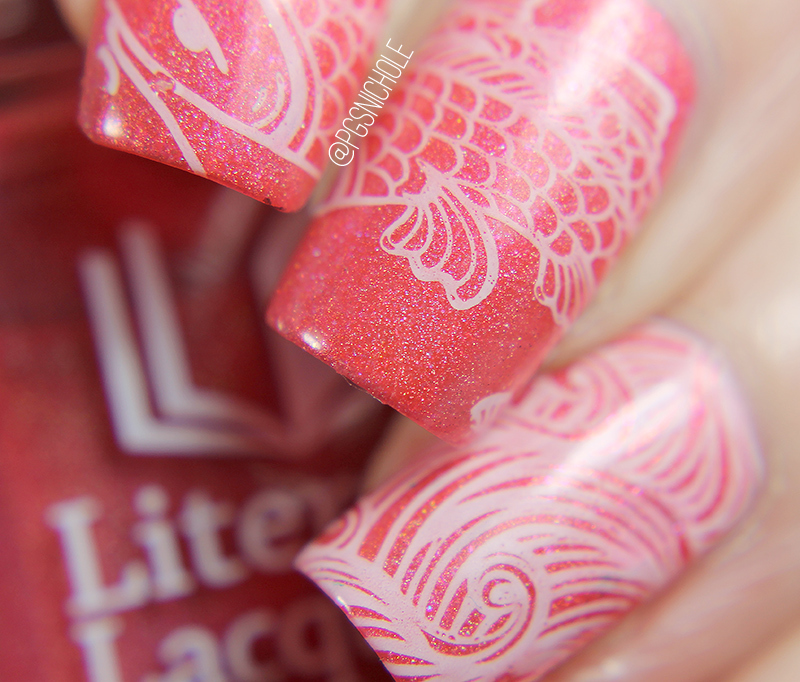 After a couple of false starts (you can see a few dark spots of failed stamping) I think it turned out pretty well! Are you a stamper? Give me some tips in the comments below! OMG I'm in love with this! That fishy! And the base colour! And everything! This is beautiful! Great job with the stamping. I love that plate, it's one of my favorites. The fish is so cool! what a great stamping design! This is beautiful and doesn't look like you had trouble with it. The base shade is a beauty. This is so amazingly elegant! These are gorgeous! I absolutely love the images you chose- they turned out perfectly! I couldn't bear to take off such a stunning mani either... This is magnificent! 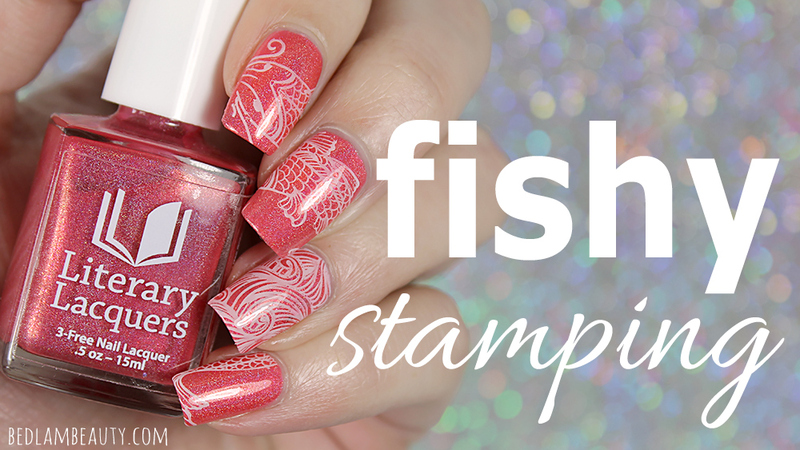 The polish is gorgeous, but your stamping is even better! First time? 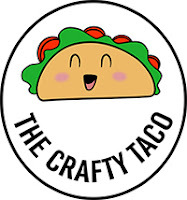 Girl, it looks great! 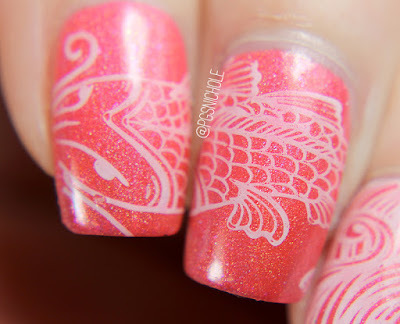 I just tried my hand at stamping the other day...and I think I'm going to get addicted! 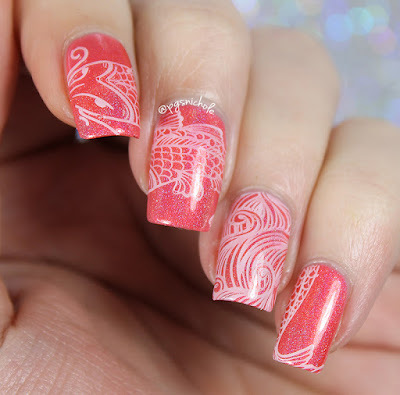 Where did you get this stamping plate? ?